"Yeah so we're going to put the games on these phones. I'm sure it'll all be fine." Zynga may be in a spot of bother as the continuing drop in the number of people using it has led to a falling share price. The shares, which only hit the market in December 2011, have dropped to below $5 a pop for the first time, falling over 13 per cent. One analyst added that daily active users of Zynga's particularly irksome brand of social games has dropped by around 8.2 per cent over the course of the last month. The analyst in question, Doug Creutz from Cowen, added that the company believe that "interest in Facebook-based gaming may have reached a negative inflection point." It's all down to those pesky smartphones and tablets – Creutz thinks that mobile gaming quality "is similar, if not better, and mobile games have the added advantage of being playable at any time, anywhere". Zynga is so closely tied to Facebook that it is struggling to find a way to extricate itself and, more importantly, its business plan. It made a valiant effort by shelling out literally millions on Draw Something creator OMGPOP at the height of the Pictionary-like game's popularity, but soon came to regret throwing money at the problem as Draw Something fell out of favour with the populous. 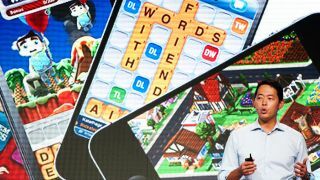 Zynga is also pinning its hopes on a non-Facebook-owned 'online playground', an early beta of which it launched in March. No word on how well that's doing though. Not that we're saying that means anything.